For a comfortable pant that is made to last, get the KEY Rip Stop Foreman Pant. Find Incredible Comfort with the Relaxed Fit that gives you room to move and a fabric that is garment washed for instant softness. The Cotton Rip Stop Fabric is woven with a special reinforced technique that makes it Resistant to Tearing or Ripping and is Lightweight for Breathability, making it ideal for warmer weather. 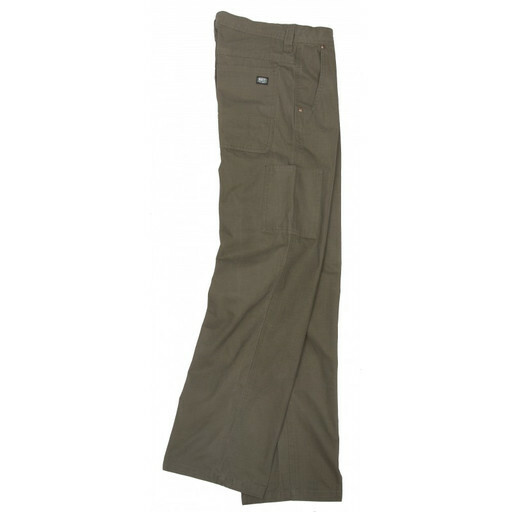 Triple needle stitching and reinforced pockets add to the strength of this durable pant and a variety of pockets allow you to keep essentials right at your fingertips. Work is Tough, but KEY is Tougher!